Are you in love with the design and driveability of your vehicle, but you sometimes wonder if it came underpowered from the factory? We know how you feel! If you want to maximise your vehicle’s performance, we can do it safely and within the tolerances of its engine and hardware – without sacrificing driveability or smoothness. You’re looking for precision and a safe pair of hands for your vehicle tuning, and here at Sheni’s Auto Trend we’ve been delivering just that for over 30 years. We use top-of-the-line tuning software usually only available via dealerships (and with dealership prices!) to provide the best, most cost-effective way of tuning your vehicle. We are also proud to have some of the most experienced, highly trained, and trusted car tuning professionals in Calgary on the Sheni’s Auto Trend team. WHY DO YOU NEED YOUR VEHICLE PROFESSIONALLY TUNED? With digital tuning, your car will finally have maximum functionality. It will accelerate better in lower RPMs, it will feel stronger in the higher RPMs, and its overall performance will be optimised. We promise we can give you higher available power, increased fuel efficiency, and greater driving pleasure. What Tuning and Performance Services are available at Sheni's? 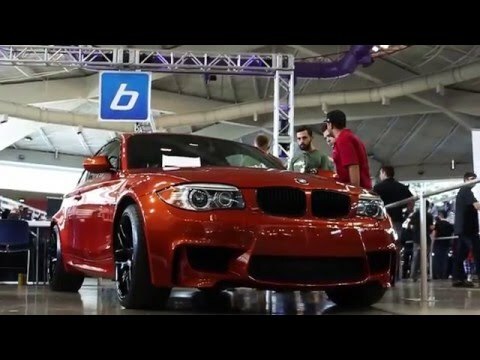 We have the cutting edge in automotive computer programming for all European and import vehicles, including BMW, Mercedez-Benz, Audi, Porsche, VW, Mini Cooper, Lamborghini, and more. A vehicle’s ECU (Electronic Control Unit) controls all of the engine’s operating functions, from fuel and timing, to turbo boost and throttle control among many other things. It contains hundreds of algorithms that adjust the engines functions based on things like intake temperature, barometric pressure, and fuel quality. Vehicle manufacturers will tune this ECU very conservatively, leaving a lot of unused performance available. Leaving the engine’s safety parameters intact, Sheni’s Auto Trend will precisely tune the ECU, giving you better drivability with more power and performance, but without compromising engine reliability and longevity. Dyno tuning is our recommended method to give your vehicle the best possible performance. Here at Sheni’s Auto Trend, our services help to set industry standards, and our dyno tuning methods are the only way to tune a car correctly for optimal performance, resulting in peace of mind for you, improved driving feel, and lower fuel consumption. During dyno tuning, we attach your car to our diagnostic system to obtain all of the needed information. Our experienced dyno tuning professionals will then use that information to adjust and tweak your vehicle to give the maximum possible performance (at the lowest cost to you!). More power: to feel in control of your vehicle, you need it to respond to your actions. Proper tuning simply means more power & more control! Maximum reliability: lower the chances of needing an unexpected repair. Increased fuel economy: once tuned effectively, your car will have much better fuel economy. Greater torque spread: better fitting components mean more power to your entire engine. Improved throttle response: get a more precise response every time you press the gas pedal. Improved daily performance: from a smoother start-up to more power behind the wheel, you will notice an overall increase in performance after a dyno service. Making performance upgrades to your car such as a new exhaust system, an ECU flash, or a smaller pulley can make a significant different in your vehicle’s power and torque. But! Many car enthusiasts want to stand out from the rest, and really push their car’s engine to its full potential. For owners who want the best engine performance, Sheni’s Auto Trend offers complete custom or bolt-on Turbo and Supercharger Kit Upgrades, including everything from injectors, manifolds, tuning, and more. All you need to do is tell us what your power goal is, and we’ll provide you with a bespoke package that best suits your needs. You can make a tuning appointment with our team online or by telephone. Come to the Sheni’s Auto Trend shop. Once your date has arrived, come to the Sheni’s Auto Trend shop, and we’ll assess your current modifications (if any) and establish a basis for your specific tuning and performance needs. We’ll create a tailor-made tune for your car. Depending on your car and ECU model, your tune can take from 30 minutes to 3 hours. If we can download the software via the On Board Diagnostic connector, it can take 30-60 minutes. If we need to remove the ECU from the car, it can take 2-3 hours. You can have your car back for the day! Once we’ve downloaded the software, you can have your car back for the day! We’ll back up a copy of your original software, and obtain your ECU maps (either by finding the specific Driver, or by sending some basic information from your vehicle to Italy for a custom request). This will usually arrive overnight. Our technicians will tune your file. Once we’ve received the driver, our experienced car tuning professionals will tune the file in house ready to be uploaded to your vehicle. Then they'll install it in your car. We will upload the modified software to your car – come in the following day, or choose a day to suit you. The upload will take 30-60 minutes, or 2-3 hours if the ECU needs to be removed. You enjoy your newly tuned car! We hand you back your keys, and you enjoy the newly added power and performance! Why Choose Sheni’s Auto Trend? We have top-of-the-line technology and equipment, meaning we can tune over 90% of European cars, including BMW, Porsche, Mercedes-Benz, VW, Audi, and more. Contact us today to book your tuning and performance upgrades in Calgary.